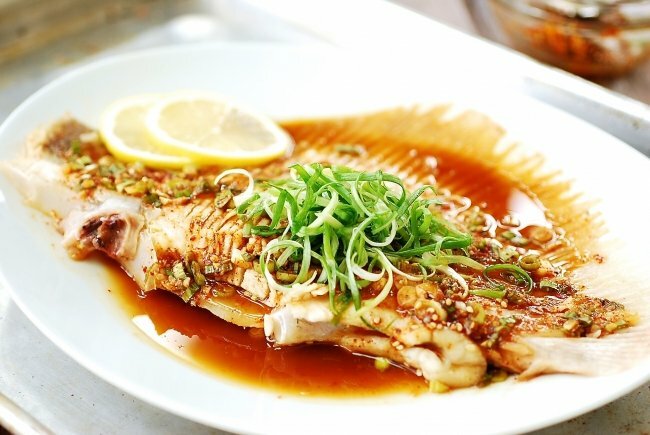 Unless you go to French restaurants, skate fish (hongeo, 홍어) is not easy to find at restaurants here in America. It’s really not a common fish here. 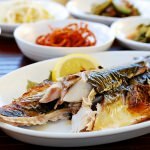 In Korea, skate is a very popular fish! It’s eaten in many ways — raw, fermented, steamed, pan-fried, spicy, mild, etc. 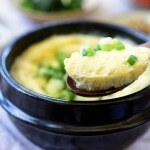 Today, I’m showing you how to make steamed skate (hongeojjim, 홍어찜)! If you think skate is a weird fish, think again and give this wonderful fish a chance! 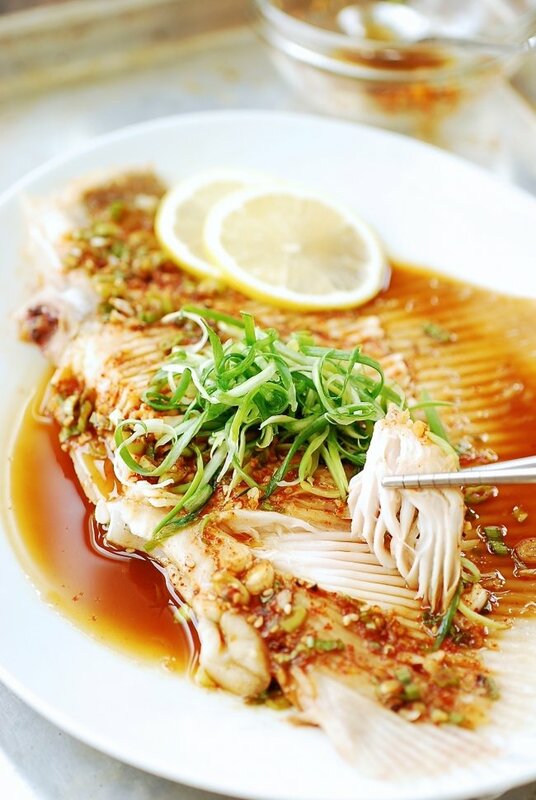 Skate is a delicate, firm fish that has a mild, sweet taste and a unique texture. It has cartilage — no bones. Korean markets around here usually sell fresh skate wings, skinned and cartilage on. You can make this recipe with a whole wing or serving size pieces by cutting along the line of the cartilage. Koreans don’t usually fillet the skate. When cooked, the strands of flesh peel right off the cartilage, making it very easy to eat. 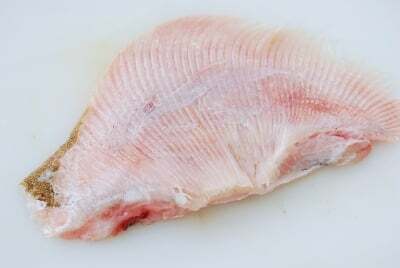 If you leave fresh skate in the fridge for a day or two, the skate may have a bad ammonia smell developed from the uric acid in the flesh. I know in America, the smell is the sign of fish gone bad. In Korea, a pungent taste of ammonia scented skate is something to be desired for. 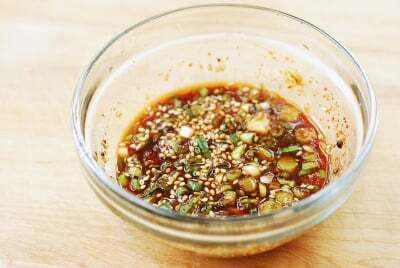 In fact, fermented skate (hongeohoe, 홍어회 ) with a strong funky aroma is a unique delicacy favored by many including myself. 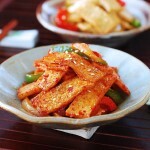 Growing up in Korea, we ate a lot of skate at home! 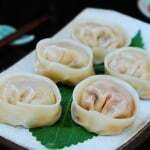 Hongeohoe is one of my father’s favorite dishes, and I remember having steamed skate quite often. 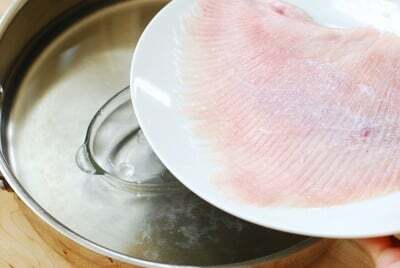 Traditionally, the skate is air dried for a couple of days for a chewier texture and more intense flavor before being steamed. I skip that process and simply steam fresh skates. Steaming the fish is very easy! If you don’t have a steamer, you can place a large plate over a small heat proof bowl or ramekin in a large pot so the plate sits high enough not to touch the water. You can also achieve a similar result by baking it in parchment paper. I’ve included the parchment paper method in this recipe as an option. 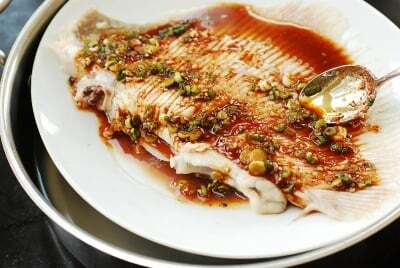 Steamed skate wing in a simple soy based sauce! Clean the skate and lightly season with salt. 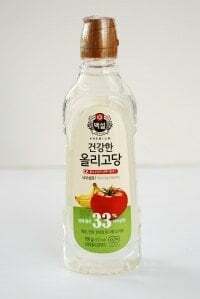 Combine the sauce ingredients and mix well until the sugar is dissolved. Fill a large pot with about two inches of water. Place a steamer on top. 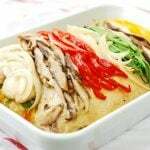 If no steamer is available, place a small heat proof baking dish or ramekin that can keep a large plate high enough not to touch the water, and then place a heat proof large plate on top. When the water starts to steam, add the fish and cover. Steam for about 8 to 10 minutes. Open the lid, and spoon the sauce all over the fish. Cover, and steam for 2 to 3 more minutes. It’s done if the flesh separates from the cartilage easily. 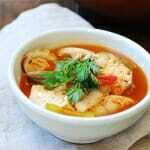 Remove from the pot and place the optional scallion while the fish is still hot. Preheat the oven to 450°F. 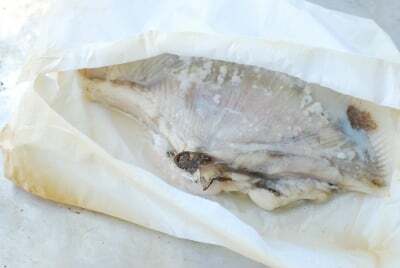 Cut two pieces of parchment paper that’s large enough to completely wrap the fish and leave extra for the folds. 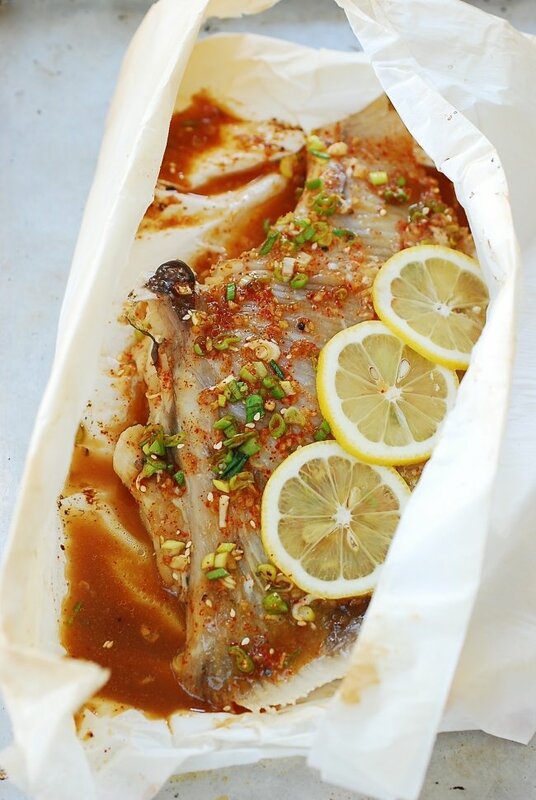 On a baking sheet, place the fish in the middle of the double layered parchment paper. You can add some lemon slices if you want. Bring the two long sides together and fold a couple of times to seal tightly. 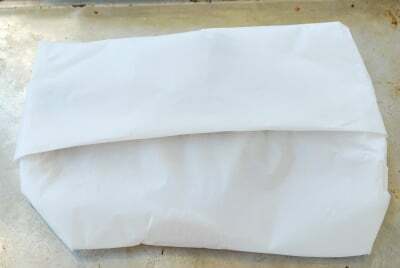 Next, fold and roll the shorter sides, and then tuck each one under the fish to seal the packet. Bake the fish for about 8 to 10 minutes. Carefully open the packet, and spoon the sauce all over the fish. Return it to the oven, and cook for 2 to 3 minutes. Looking forward to trying this next time! Great! Thanks. Hope you like it as much as we do. Thank you so much for sharing this blog. I love sea food. I always eat fish whenever I go to any restaurant. 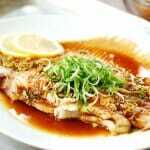 I tried to cook fish at home many times, But I think it’s not easy for me to cook it. 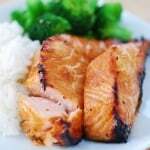 But from this blog, I got full recipe and now I can try it at home. What would be a substitute if you cannot purchase skate fish? Any white, firm fish should work. Great! Thank you so much for the great review.